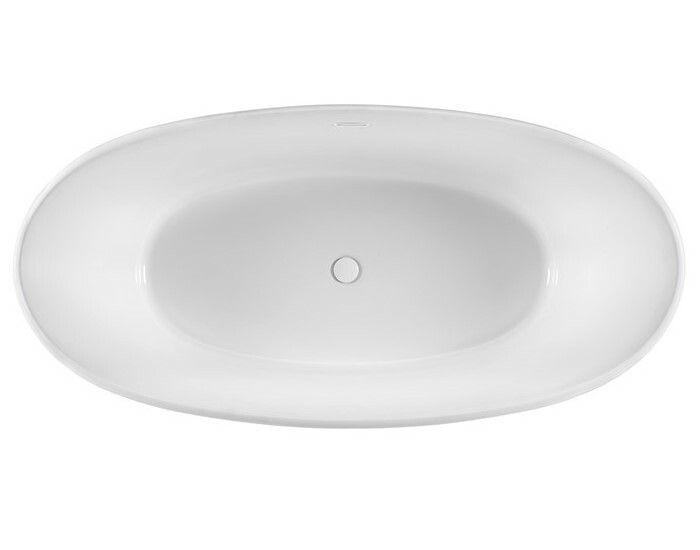 The Charlotte is an oval bath with softly curving side that are complemented by a delicately detailed rolled lip. It features a deep bathing well and lumbar support. Soak in a tub only or enjoy the bubbles of an air system. Center drain and 2 backrest allows a bather to choose the best view. Exterior Dimension: 65.5" x 32" x 22.5"
Bottom Interior: 45" x 21.5"